Данное программное обеспечение предназначено для обновления прошивки или изменяемых параметров SPOT Trace. Click the Download SPOT Trace Firmware Updater button for your operating system. В зависимости от используемого браузера, вы можете "Сохранить", чтобы загрузить или "Открыть", чтобы запустить программу. ПРИМЕЧАНИЕ: Некоторые антивирусные программы могут препятствовать запуску программы. Если у Вас возникли проблемы с установкой, пожалуйста, обратитесь в SPOT Customer Service. Откройте загруженный файл и запустите мастер настройки, следуйте рекомендациям. По завершению установки, программа обновления откроется автоматически. For best performance, the Trace unit should be turned off. Подключите устройство к компьютеру с помощью кабеля micro USB. Пользователи Windows: Если это первый случай подключения устройства SPOT, подождите, пока установятся драйверы. Введите код авторизации и нажмите "Отправить". Код можно найти в батарейном отсеке. Выберите обновляемое устройство для передачи Ваших новых параметров из аккаунта в устройство SPOT. Данное программное обеспечение предназначено для обновления прошивки или изменяемых параметров SPOT Gen3. Загрузите программу обновления, выбрав ниже кнопку с Вашей операционной системой. Переустановите батарейки, если Вы доставали их для уточнения кода авторизации. 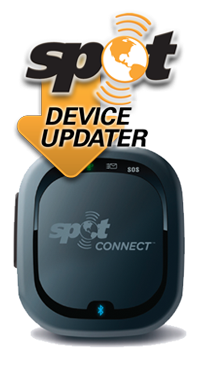 For SPOT Connect: The USB port is located in the battery compartment. To access, remove the battery door. Please remove the batteries from SPOT Connect before connecting the USB cable to avoid damaging your SPOT Connect. Click the Download SPOT Connect Firmware Updater button for your operating system. В зависимости от используемого браузера, you can 'Save' in order to download the installer or 'Run' to launch. Plug the mini USB cable into your SPOT Device's USB port located in the battery compartment. Once the application launches, it will wait for your SPOT Device to be connected to your computer. Please connect the USB cable directly to the USB port on the computer. Third-party USB hubs may affect the application from working successfully. Once connected, the Update Tool will request your Authorization code (found in the battery compartment) and then will check whether there is a firmware update available for your device. If your firmware needs to be updated, the 'Perform Update' button will be enabled. 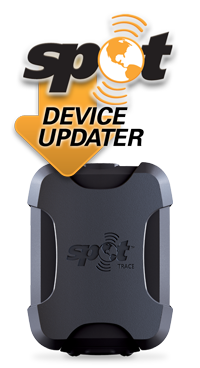 Simply click 'Perform Update' to install the latest firmware on your SPOT Device. If your firmware is up to date, the message will indicate that you have the latest firmware installed. No update is necessary. The Firmware Update Tool will display a message to let you know the update was successfully installed. 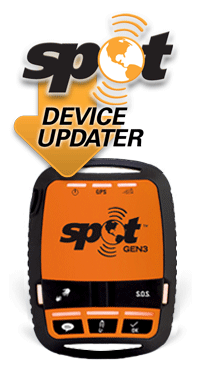 For SPOT Communicator: The USB port is located in the battery compartment. To access, remove the battery door. 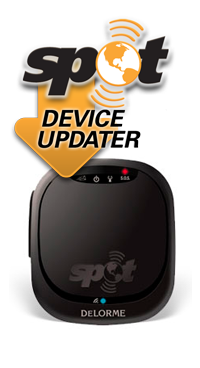 Please remove the batteries from SPOT Communicator before connecting the USB cable to avoid damaging your SPOT Communicator. 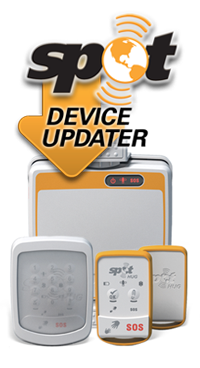 Click the Download SPOT Communicator Firmware Updater button for your operating system. For Windows : Launching the application requires allowing an installation from an unknown publisher. Please select “Run anyway” if prompted. Для Мас: Установка программы может потребовать пароль системного администратора. For SPOT HUG: The USB port is located in the battery compartment. To access, remove the bottom cover. span style="color:#ff0000;">Please remove the batteries from SPOT HUG Tracker before connecting the USB cable to avoid damaging your SPOT device. Click the Download SPOT HUG Firmware Updater button for your operating system. Plug the mini USB cable into your SPOT Device’s USB port located in the battery compartment. Once the application launches, it will wait for your SPOT Device to be connected to your computer. Please connect the USB cable directly to the USB port on the computer. Third-party USB hubs may affect the application from working successfully.